We all worry, every last one of us. Work challenges, relationship problems, health issues, life's unpredictability—all of these things can fill us with dread. Though it's natural to feel anxious from time to time, and part of being human, worry doesn't have to control us. 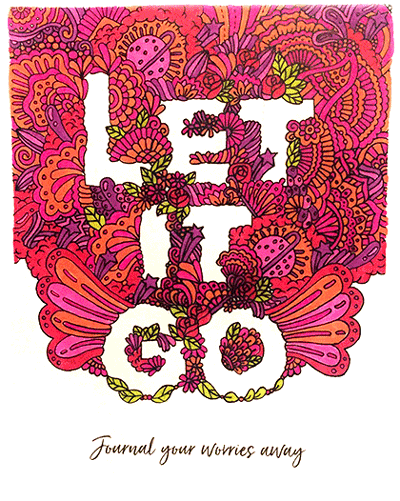 If you obsess about things you've said and done and agonize over how people perceive you, this journal is for you. If you have a hard time relaxing because you can't stop dwelling on everything that might go wrong, this is for you too. And if you panic about the things you can't control and feel unsafe more often than not, yes, this journal is for you too. It's not possible to completely eliminate worry and anxiety. But it is possible to engage with your worries in a healthier, more productive way so that they no longer cripple you. 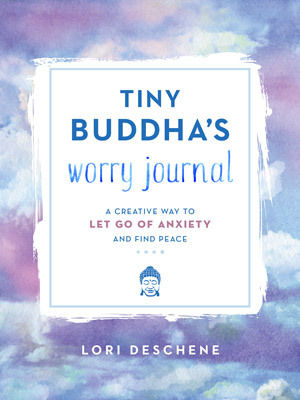 Tiny Buddha's Worry Journal can help you do just that. Tiny Buddha has been helping people empower themselves, heal, and find peace since 2009. What started with one simple quote on Twitter has grown into an inspirational empire, with thousands of blog contributors, millions of readers and followers, and almost a dozen books and eBooks. A true group effort, the site features stories and insights from people of all of ages, from all over the globe—all bound by a common goal: to help themselves and others. 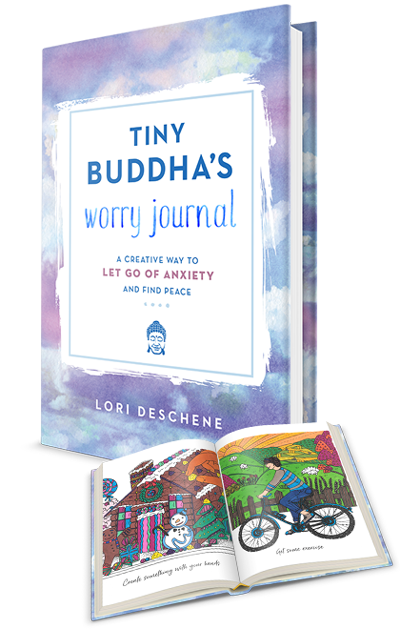 Lori Deschene is the founder of Tiny Buddha and the author of Tiny Buddha: Simple Wisdom for Life's Hard Questions, Tiny Buddha's Guide to Loving Yourself, Tiny Buddha's 365 Tiny Love Challenges, and Tiny Buddha's Gratitude Journal. She's also co-founder of the popular online course Recreate Your Life Story: Change the Script and Be the Hero (recreateyourlifestory.com). 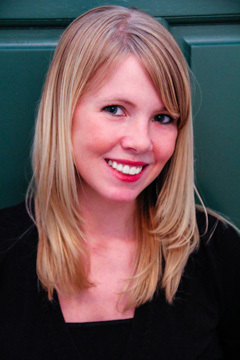 After struggling with depression, bulimia, and self-loathing for over a decade, she launched tinybuddha.com as a community blog, where anyone could share their experiences, lessons, and insights. She hoped to recycle her former pain into something useful to others, and to empower others to do the same. Lori sometimes worries that she's too sensitive, too intense, and too caught up in her head, and not as outgoing, laid back, or connected as she 'should' be. She also worries about missing out, making the 'wrong' decisions, and somehow 'messing up' her relationships. But she worries a lot less than she used to and no longer feels a need to escape from her busy brain. 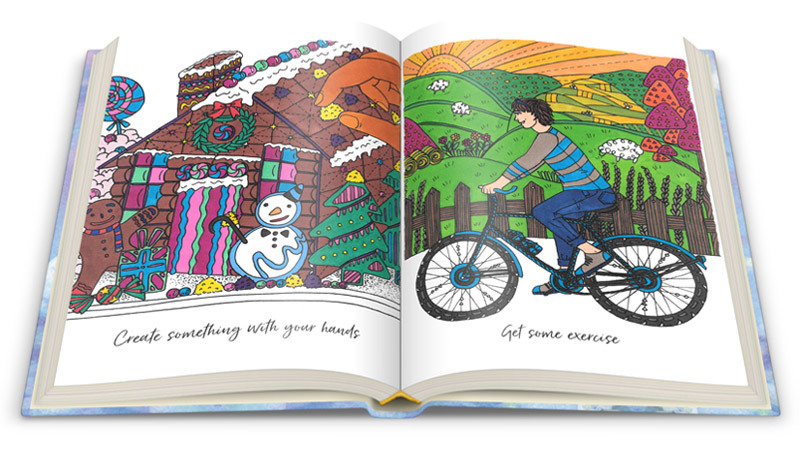 This journal encompasses every tool and practice that has helped her live more mindfully, with less angst and insecurity. She hopes these prompts and exercises will help you as much as they've helped her.